• LaVelle E. Neal III of the Minneapolis Star Tribune reports that Justin Morneau approached the Twins during spring training about a contract extension and they weren't interested, which is the right stance to take. Morneau is an impending free agent, but even setting aside his extensive injury history signing a good but not great 31-year-old first baseman to a multi-year contract isn't a great idea unless he were to take significantly less than his current $14 million salary. Morneau hasn't topped an .800 OPS while playing more than 100 games since 2009 and while his .267/.333/.440 production in 134 games last season was encouraging after back-to-back years ruined by a concussion it was mediocre for a first baseman. Among the 29 regular first basemen he ranked 14th in batting average, 15th in on-base percentage, and 16th in slugging percentage. Toss in the health question marks and that's an awfully shaky investment. There's also a chance of Morneau upping his production to pre-concussion levels, but even then they'd have an appealing option of tendering him a one-year "qualifying offer" that was worth $13.4 million this winter. If he accepts they get Morneau back for his age-32 season at a similar salary without a long-term commitment. If he declines and signs elsewhere they get a first-round draft pick. If he isn't traded by then, of course, which is another reason to avoid an extension. • Scott Diamond's delayed comeback from December elbow surgery created an opening in the rotation before the season had even started and Samuel Deduno's groin injury ruled him out, so the Twins turned to Cole De Vries ... and he had to be placed on the disabled list with a strained forearm before his first turn came up. Already scrambling for starters, the Twins called up Triple-A left-hander Pedro Hernandez, who had the benefit of being on the 40-man roster. Hernandez was acquired from the White Sox along with Eduardo Escobar for Francisco Liriano in July and ranked 35th on my annual list of Twins prospects. He's a soft-tossing control artist with extreme platoon splits that could make it tough for him to stick as a starter, but the 23-year-old fared well enough in his Twins debut. Assuming that Diamond avoids further setbacks Hernandez may not be needed again for a while. 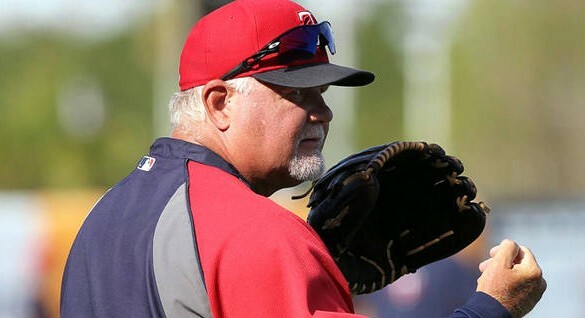 • One side effect of Ron Gardenhire holding Glen Perkins back for "save situations" that may not actually arrive is that lesser relievers are forced into pressure-packed spots. For instance, in the eighth inning Friday left-handed Orioles slugger Chris Davis came up with the bases loaded and one out in a tie game. Situations don't get any more important and if there was no such thing as the "save" statistic Perkins--being the best reliever and a lefty--would be the obvious choice. Instead, with the game in the balance, Gardenhire called on 25-year-old rookie Tyler Robertson, who served up a grand slam and was promptly demoted to Triple-A the next day. He barely made the team out of spring training, has yet to show he can consistently get big leaguers out, and was apparently one bad pitch from going back to the minors, yet the manager chose Robertson to face Davis while Perkins watched. And people say guys like me are obsessed with statistics. Since taking over for Matt Capps as the Twins' closer Perkins has converted 18 of 20 saves with a 2.01 ERA and 45-to-5 strikeout-to-walk ratio in 45 innings. That's incredibly good pitching, but the role change has also made Perkins less of a weapon thanks to such strict usage. And because the Twins' overall bullpen depth is weak and their only other standout reliever, Jared Burton, needs regular days off holding Perkins back for save situations will lead to some ugly matchups. • J.J. Cooper of Baseball America put together a list of the youngest prospects at each level of the minors, which includes Miguel Sano as the youngest player in the Florida State League and Oswaldo Arcia as the sixth-youngest player in the International League. Age relative to the level of competition is an extremely important factor in evaluating prospects, so keep that in mind when looking at their raw numbers this season. No big surprises, although Byron Buxton moving to low Single-A and full-season ball at age 19 instead of spending more time in rookie-ball is noteworthy, as is Trevor May repeating Double-A at age 23 after spending all of last season there in the Phillies' system. Max Kepler will eventually join Buxton in the Cedar Rapids outfield, but for now he's rehabbing an injury in extended spring training. And some of the pitchers, including J.O. Berrios, will have their 2013 debuts delayed. • Wilkin Ramirez making the Opening Day roster as the designated "bench bat" based on a good spring training was an odd choice because he's 27 years old with a decade of awful plate discipline and underwhelming overall production in the minors. In adding Ramirez the Twins needed to clear space on the 40-man roster and they did that by designating Alex Burnett for assignment, which exposed the 24-year-old reliever to the waiver wire and got him claimed by the Blue Jays. I'm hardly a big Burnett fan and praised the Twins for finally deciding he was better off at Triple-A, but losing him for nothing in order to add Ramirez is different. They thought Burnett was worthy of a bullpen job in 2010 at age 22 and worth keeping in the bullpen in 2011 and 2012, but in 2013 he's not worth a spot on a 40-man roster that includes Drew Butera, Caleb Thielbar, and Tim Wood? All so they could add a 27-year-old corner outfielder who's hit .255/.310/.430 at Triple-A. • Tuesday morning the Twins sent out a press release announcing an "early entry program" at Target Field offering fans the chance to pay an extra $15 for the ability to get in 45 minutes early to watch batting practice. About five hours later they issued another press release retracting that offer because it was "not fully vetted across the Twins organization" and "we apologize for a lack of internal communication which led to the premature release of this misinformation." So ... yeah. 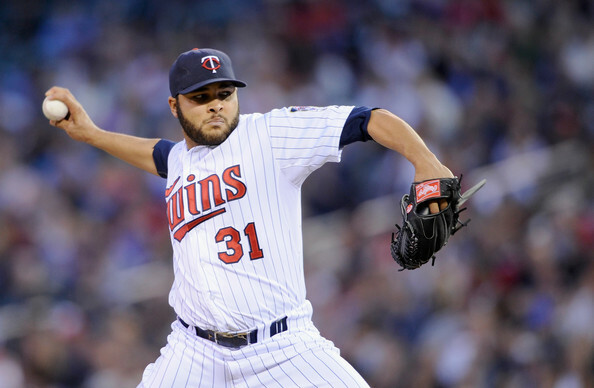 • Through eight games Twins pitchers have the fewest strikeouts in baseball with 38, which is 4.9 per nine innings. 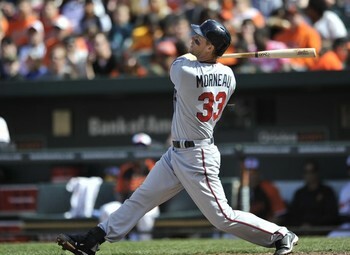 They also ranked dead last among all teams in strikeouts in 2011 and 2012 while averaging 6.0 and 5.9 per nine innings. • Josh Willingham has already been plunked twice and is well on his way to extending his streak of ranking among the league's top 10 in hit by pitches every season since 2007. Willingham has a career on-base percentage of .362, but if you removed the hit by pitches it would drop to .346. • Kevin Correia isn't missing any bats, but he induced 12 and 15 ground-ball outs in his first two starts after getting 12 or more ground-ball outs just three times in his final 13 starts last season. • Joe Mauer moved past Gary Gaetti for sixth place on the Twins' all-time hit list with 1,277. In getting those first 1,276 hits Gaetti made 1,077 more outs than Mauer. Seriously. • Aaron Hicks joined Rich Becker in 1993 and Butera in 2010 as the only Twins position players to strike out three times in their MLB debut. • Butera broke his left hand at Triple-A, so now he'll make $700,000 on Rochester's disabled list. • "Roy Smalley's Fist List" is a thing, apparently. • Ben Revere is learning some very important things in Philadelphia. • On this week's "Gleeman and the Geek" episode we talked lots about Hicks' slow start, Perkins' excellence, and Gardenhire's decision-making. At first glance it looks like Alex Burnett took a big step forward in 2012, tossing 72 innings with a 3.52 ERA at age 24 after posting a 5.40 ERA in his first two seasons. Unfortunately a deeper look shows that his improvement was fueled almost entirely by an unsustainably low batting average on balls in play that masked a declining strikeout rate and poor control. Burnett didn't pitch well in 2012, he merely had a nice-looking ERA. Burnett struck out 17.5 percent of the batters he faced as a rookie, but that dropped to 14.7 percent in 2011 and fell even further to 11.7 percent in 2012. To put his 2012 strikeout rate in some context, 166 different relievers threw at least 40 innings and Burnett tied for dead last with 4.5 strikeouts per nine innings. And he was tied for last with Jeff Gray, who spent most of the season alongside Burnett in the Twins' bullpen before being designated for assignment. Burnett gets a solid number of ground balls and has made strides with his control, improving his yearly walks per nine innings from 4.3 to 3.7 to 3.3, but that's nowhere near enough to make up for such a pathetic strikeout rate. You'd think a young pitcher with a fastball that averaged 92.7 miles per hour, a mid-80s slider, and a changeup left over from his days as a starter couldn't help but miss some bats, but Burnett ranked 156th out of 166 relievers in swinging strikes. 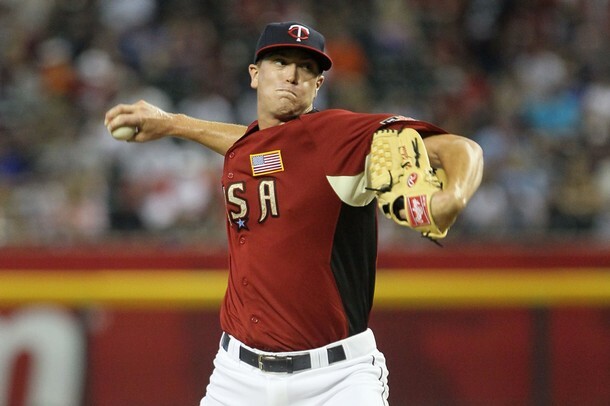 It's worth noting that Burnett didn't move to the bullpen until 2009 and initially thrived at high Single-A and Double-A, but he was rushed to the majors in early 2010 to replace the injured Clay Condrey and never really got a chance to put together an impressive stretch at Triple-A. That less than ideal development and the fact that he's still just 25 years old makes it tough to totally write off Burnett, but nothing about his performance so far inspires much optimism. Presumably his age, nice-looking ERA in 2012, and nearly three full seasons worth of experience in the majors will be enough to get Burnett an Opening Day bullpen spot, but he could easily pitch exactly as well as he did last season and see his ERA balloon back above 5.00. Without missing significantly more bats or vastly improving his control it's tough to see how Burnett can have long-term success as more than a middle reliever. This week's blog content is sponsored by Seth Stohs' fifth annual "Minnesota Twins Prospect Handbook," which features 191 pages of content devoted to every key prospect, draft pick, and minor leaguer in the organization. Please support him for supporting AG.com.